Kenny Leseur was crowned the 2018 Bermuda Junior Golf Association Fecchio Cup Champion and Oliver Betschart is the Fecchio Cup Red Tee Champion. Unfortunately the weather was the headline with the worst of the wind and rain coming in right as the final round of the Championship was due to commence, resulting in a cancellation of the final round. Leseur’s excellent play over the first two days was enough to give him a nine stroke victory for his third Fecchio Cup title, a feat made all the more impressive given he is still only 14 years old. 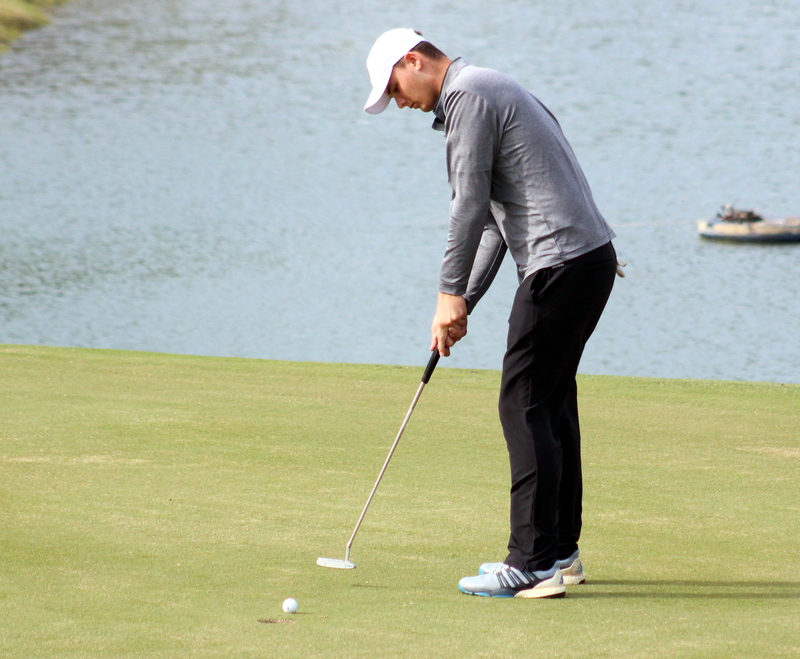 Spencer Young’s two rounds in the 70’s were enough for a second place finish, an encouraging finish for a player looking to make a push towards college golf in a couple of years’ time. Oliver Betschart was the wire to wire winner in the Red Tee division, accumulating the most points in each of the two rounds for victory by seven points over Sa-Qui Robinson. At 10 years old, Betschart was one of the youngest players in the division but displayed maturity beyond his years to plot his way around the course and take the title. Robinson showed that he will be a player to watch for the future, taking home the runner up trophy in just his first major tournament.